Oculoplastic surgery or oculoplastics is the specialized branch of surgery that deals with plastic and reconstructive surgery of the orbital area and facial features like eyelids, eyebrows, forehead and cheeks. Oculoplastics also includes surgery of the lacrimal system which forms a very important part of the ocular area. This surgery covers a wide realm of surgery which includes cosmetic oculoplastic surgery, non surgical cosmetic procedures, reconstructive oculoplastic surgeries, orbital surgery and orbital oncology. In this article, we will discuss orbital surgery for bone trauma. What is bone trauma surgery? A bone trauma surgery is performed in cases where the bones of the orbit get fractured due to high intensity direct trauma to the bones of the orbit and the face. The bones of the orbit and face are of varying thickness. So while the orbital rim has thick bones, the bones which make up the floor of the orbit and which are on the sides of the nose are very thin. Because of this, these bones are easily fractured due to trauma. Orbital fractures: – Trauma to the orbital bones is categorized according to the location of the fractures which take place in the orbital bones. The trauma to the orbital bones can occur to the rim or the bones of the orbital floor. As mentioned above, the bones of the rim are very thick. This means that for the trauma to occur to the bones of the rim, the intensity of the trauma has to be really high. Mostly in cases of trauma to orbital rim, there are a lot of simultaneous injuries that occur. In almost all cases, the bones of the forehead, the cheeks and the nose are also fractured. Bones of the orbit floor may also be fractured due to trauma which mandates surgery. In case of indirect floor fracture, the trauma impact causes only the bones of the floor to fracture. Direct orbital floor fractures are caused when the fracture of the bones of the rim extends to bones of the orbit floor. Tripod fractures: – Tripod fractures are also known as malar or Zygomaticomaxillary Complex fractures. A ZMC fracture involves the lateral orbital rim and the orbital wall, Zygomatic arch, the maxillary sinus and the suture between the Zygomatic bones and the sphenoid. The tripod fractures are also known as the quadripod fractures. If the trauma to face occurs laterally then ZMC fractures are caused. The most evident symptom of a tripod fracture is the increase in the width of the face. The cheeks also look sunken in. Due to associated nerve injuries the patients suffer from numbness in the lips and the cheeks. Maxillary fractures: – Maxilla is a very crucial mid- facial bone which also can get fractured due to high impact trauma. The maxillary bone forms the roof in the mouth and also forms a part of the orbital walls. The maxilla is made of two distinct halves which are joined at the intermaxillary suture line. Maxillary fractures are also referred to as upper jaw fractures. Mandibular fractures: – Fractures of the mandible or the lower jaw are one of the most common injuries that occur due to trauma or assault. Mandibular fractures are broadly classified into four categories as simple, compound, communited and pathological. A mandibular fracture can follow different patterns. It can be unilateral, bilateral, multiple and communited. The most common part to get affected in a mandibular fracture is a condyle which is a round feature at the end of the bones. Le fort fractures: – Le fort fractures are the fractures which occur on the face in a transverse pattern. Le fort fractures are divided into three categories namely Lefort I, Le fort II and Le fort III fractures depending upon the location of the fracture in the transverse plane. The most severe fractures are Le fort III fractures which cause the craniofacial separation. Trauma to the bones may cause multiple problems with the vision and also hamper the aesthetics of the face. Therefore, to avoid any permanent damage to the eyes and also restore the aesthetics and function of the face, surgery is the best option. What are the symptoms that can indicate trauma to the orbital bones? Bone trauma injuries are very common in India. Infact, India is one of the top few countries to witness a steady surge in the number of trauma cases over the past few years. More male patients are affected by blunt trauma to the bone than the female patients. Trauma injuries to the bone occur mostly because of high intensity car crashes and sports injuries. After the patient has been stabilized, before the surgery for the trauma injuries is performed, a complete diagnosis of the state of the bones is done. In India, all patients undergo imaging tests and physical examination for bone trauma injuries. After a trauma injury to the bone, the best treatment can be done only by an oculoplastic surgeon. Why an oculoplastic surgeon is the best person to perform surgery on bones affected by trauma? An oculoplastic surgeon is an ophthalmologist who specializes in reconstructive and restorative surgeries of the orbital area. After a trauma injury to the bones, in most cases the aesthetics of the ocular area along with the function need to be restored. Therefore, an oculoplastic surgeon would be the best choice in such a scenario. The growing number of trauma cases is increasing at an alarming rate in India. Most trauma cases cause grave injuries to the victims in India and it is a good reason enough to highlight the need of more oculoplastic surgeons in India. India is an emerging superpower and is slowly but steadily moving to the top. Some of the best doctors and medical facilities are available in India. In metro cities like Mumbai, some of India’s best surgeons and trauma facilities are available. But, sadly, the total number of best oculoplastic surgeons in India is very disappointing. The changing face of oculoplastic surgery in India can be credited to one of the best oculoplastic and facial plastic surgeons in Mumbai and he is none other than Dr. Debraj Shome. Dr. Shome tops the list of best oculoplastic surgeons in India. Though Dr. Shome has been practicing in Mumbai for more than a decade, he has obtained his degrees and fellowships from some of the top medical schools from around the globe. His skills in oculoplastic surgery and facial plastic surgery are outstanding. In Mumbai, Dr. Shome is regularly called for delivering speeches and talks about his expertise in oculoplastic surgery. He wants to share his knowledge and wisdom with people of Mumbai. 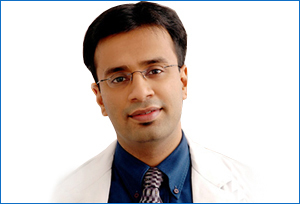 In Mumbai, Dr. Shome has his own chain of specialty clinics known as The Esthetic Clinics. Oculoplastic surgery is Dr. Debraj Shome’s forte and his top surgery skills are because of his training from some of the best institutions in the world. Before performing the surgery on bone trauma patients, he says that the patient needs to be stabilized. In Mumbai, he has observed a large number of patients who suffer bone trauma and require surgery after indulging in dangerous sports. Dr. Shome handles many such trauma and surgery cases in Mumbai and says it is unfortunate that people of urban cities like Mumbai do not seem to understand the gravity of bone trauma and subsequent surgery. Many of his patients who undergo surgery by him in Mumbai are teenagers. Young population of metros like Mumbai and Delhi has been shown to be more likely to get inflicted by trauma. In Mumbai, Dr. Shome has been part of many safety awareness campaigns which urge people to be careful while driving, riding two wheelers or while playing sports. Dr. Shome says, some patients come with such serious injuries to him in Mumbai their complete treatment takes very long to finish. At The Esthetic Clinics in Mumbai, India reconstructive surgery is a commonly carried out procedure. India needs to be more aware about trauma surgery. Dr. Shome wants to enlighten the minds of people of India about trauma surgery and for this he has chosen Mumbai to be the starting point of his venture.